South Korean builder Ssangyong E&C has won a KRW70 billion ($62 million) contract from UAE-based wasl Asset Management Group to build a five-star boutique hotel at La Mer beachfront development in Dubai, said a report. Wasl is a public entity that develops and manages government property assets. It currently owns 14 hotel properties in Dubai and about 25,000 resident and commercial properties. Dusit Thani, Park Hyatt and Le Meridien are just three of the standout Dubai hotels in its portfolio. As per the deal, Ssangyong E&C will be responsible for the construction of the 156-room Andaz Hotel, a Hyatt brand, designed by VX Studio. Work has already begun on the project and is likely to be completed in 2020, reported Korean business daily Pulse. 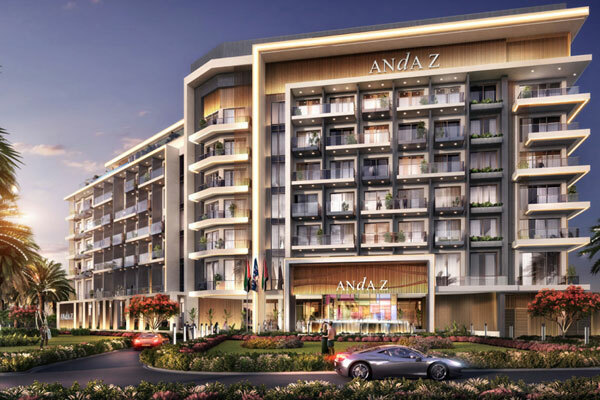 The Andaz Hotel will be built in Jumeirah 1, one of the three areas in the coastal residential district of Dubai. Part of the Hyatt chain, the upcoming property will have seven floors above ground and two underground floors and provide 156 rooms, said the report. Wasl is also building Dubai’s first Mandarin Oriental hotel, set to open in Jumeirah by the end of this year, with a second outlet of the brand earmarked for a tower on Sheikh Zayed Road by 2020. The company plans to launch 29 hotels by 2020. Besides the Dubai project, Ssangyong E&C had also clinched a KRW350 billion deal to build a skyscraper, Oxley Towers, in Malaysia. The 339-m-tall Oxley Towers will come up at Kuala Lumpur City Centre in the heart of the Malaysian capital as a multi-functional development. It will boast three complexes - each 79, 49, and 29 floors high, said the Pulse report. The 79-floor complex will be dedicated to So Sofitel luxury hotel, 49-floor complex to Jumeirah tower with hotel rooms and home units, and 29-floor complex to office space, it added.